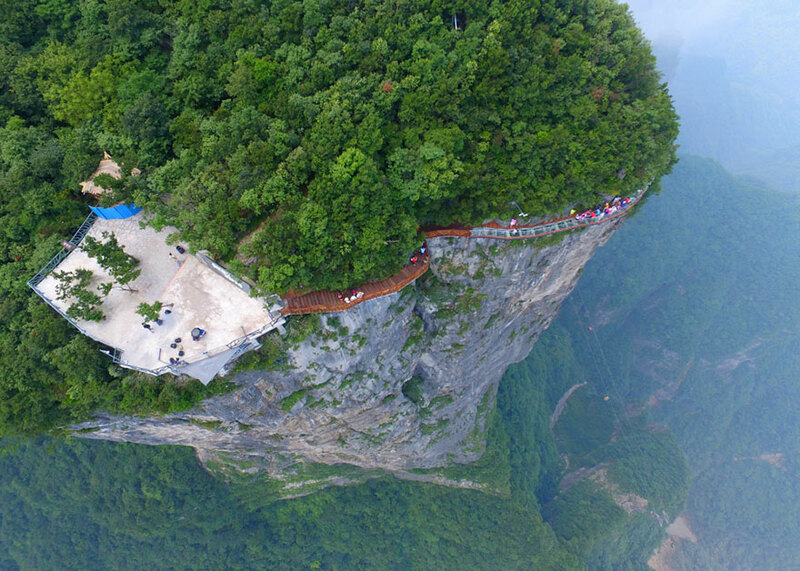 The Zhangjiajie National Forest Park in China has finally opened a new adventure allowing you to hover over the side of the mountain, up 4,600 feet (1,403 meters) the ground. 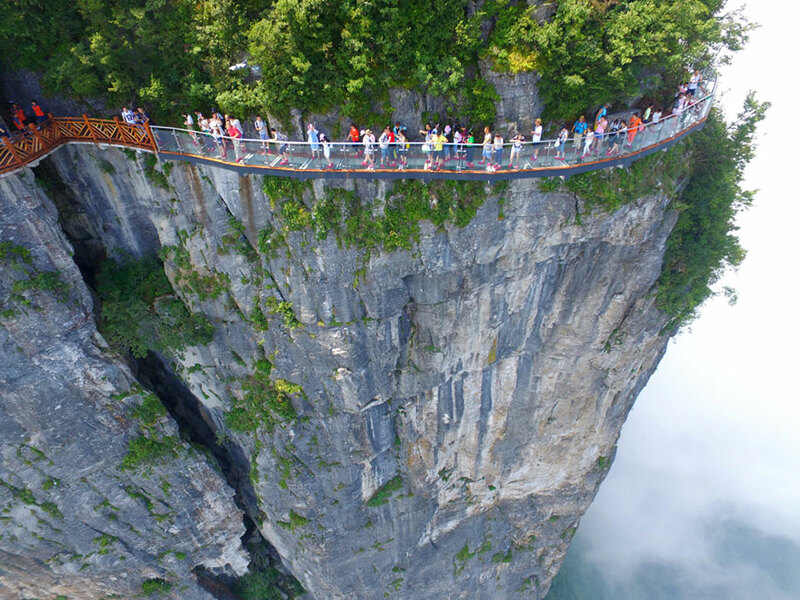 This adventure is definitely only for the brave, because the bridge is made of glass and is nothing short of terrifying. 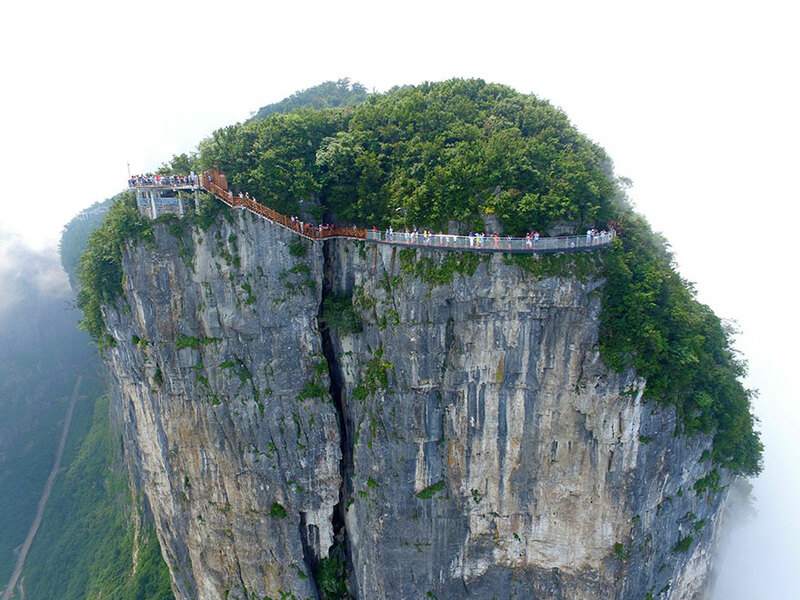 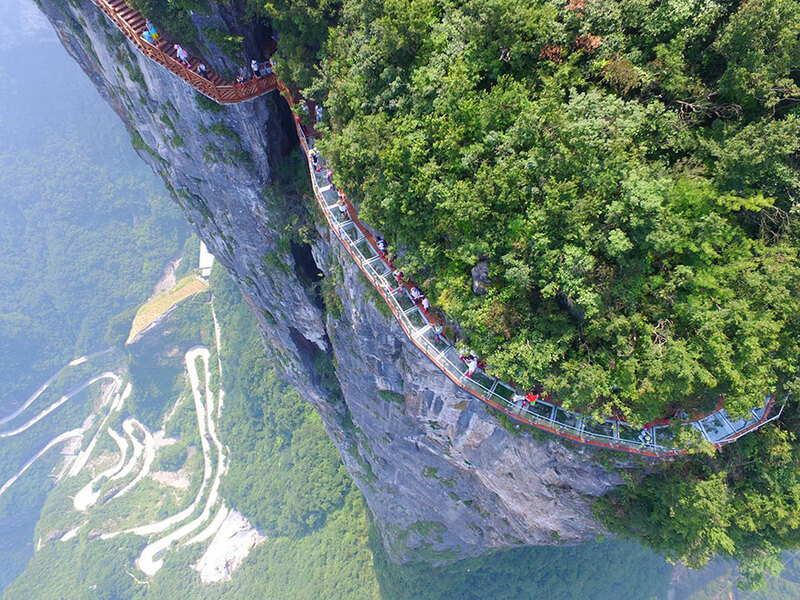 The walkway is 328 feet (100 meters) long and only 5.2 feet (1.6 meters) wide. 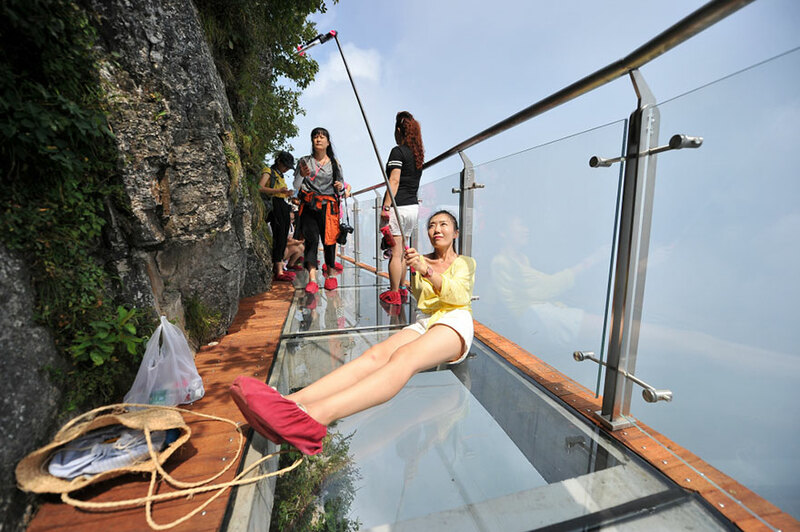 The glass bridge is on the side of Tianmen mountain in Zhangjiajie National Forest Park, Hunan Province. 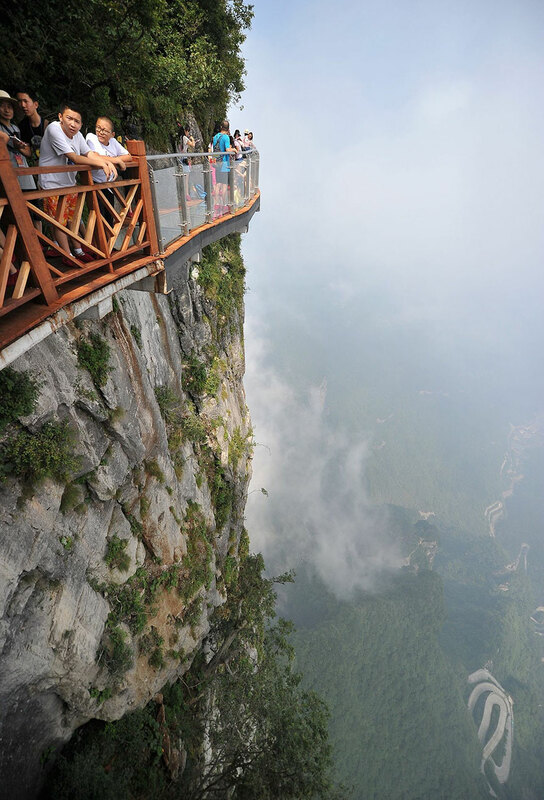 It’s known as the Coiling Dragon Cliff skywalk, and as you can see below, you’ll definitely be rewarded with breathtaking view that only a few will ever experience. 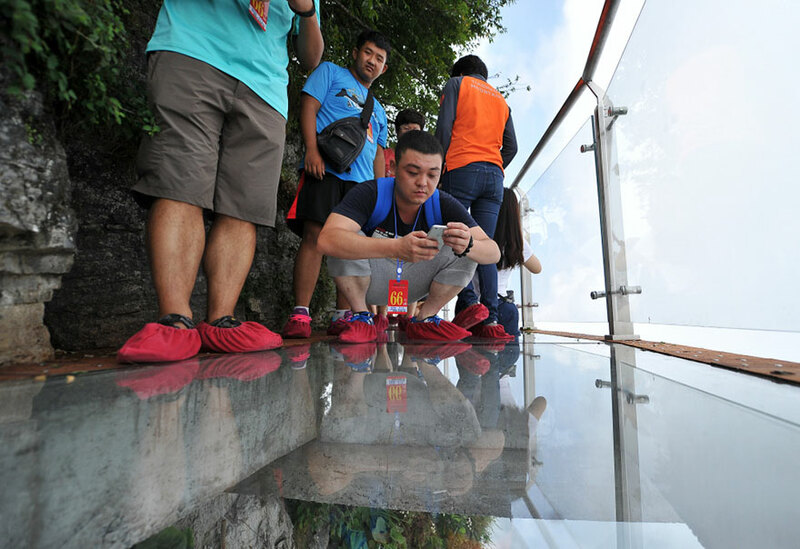 The park is actually home to three glass walkways including a 1,410 feet (430 meters) glass bridge suspended 590 feet (180 meters) above the ground, so if you’re looking for adventure, or just an extreme selfie, then you know where to go.